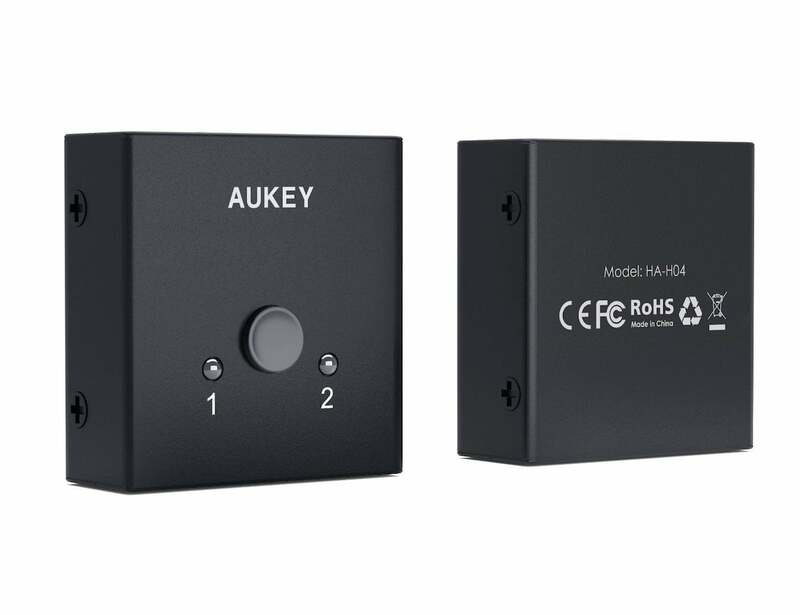 Have your HDMI and view it, too, with the Aukey Bi-Directional HDMI Switch. Offering two different HDMI ports, you never have to choose between sources again. 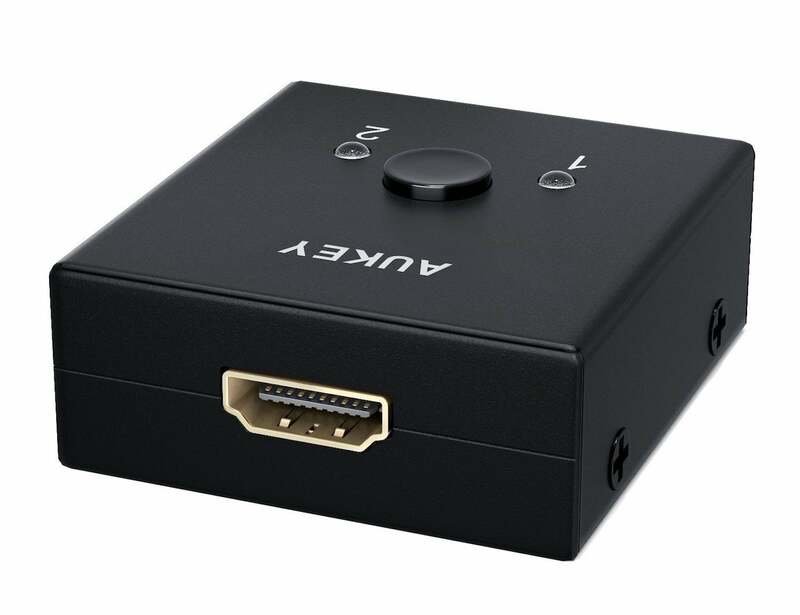 Have your HDMI and view it, too, with the Aukey Bi-Directional HDMI Switch. 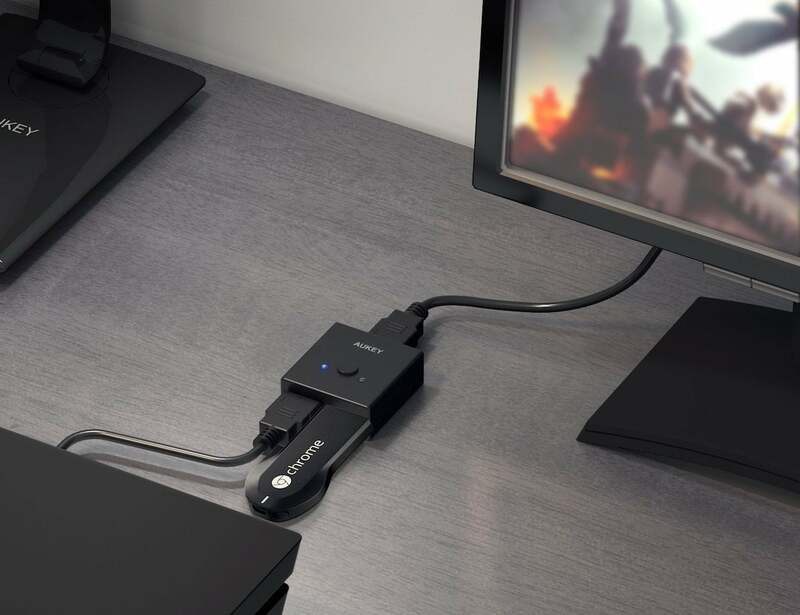 Offering two different HDMI ports, you never have to choose between sources again. This clever dongle works both ways. 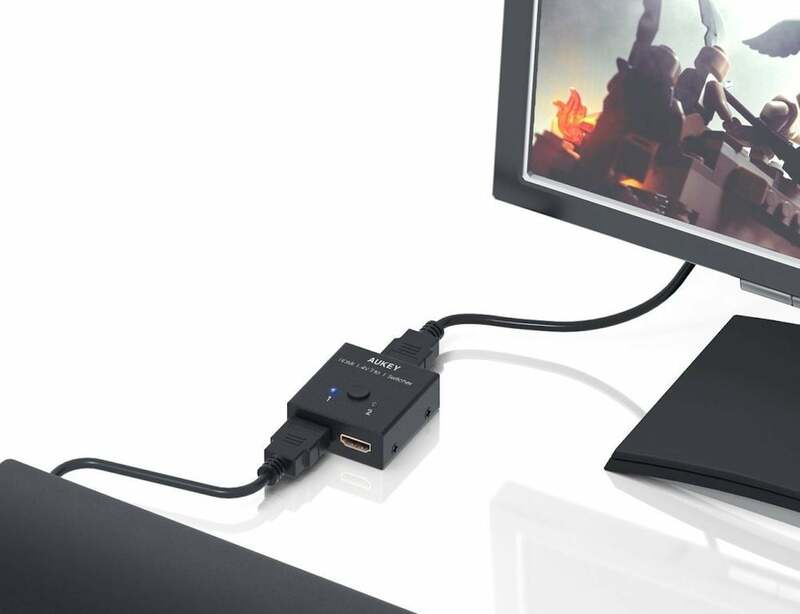 You can connect two different HDMI sources to a single display. Or, you can connect one source to two different displays. Impressively, the HDMI Switch offers beautiful 4K video at 30Hz. Or, you can go for 1080p FHD or even opt for 3D content. The HDMI Switch also has an amazing transmission distance. It can function up to 23 feet away. 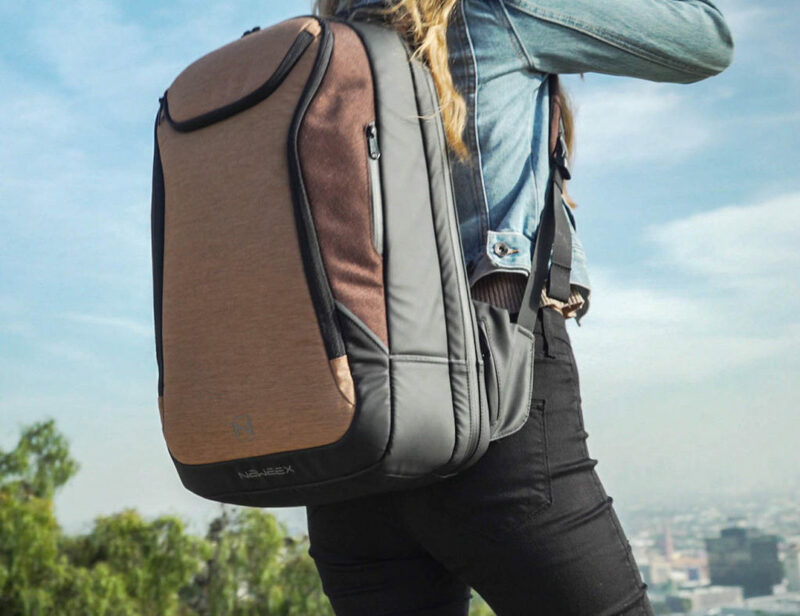 It’s perfect for anyone from gamers to professionals. Working with any HDMI device, it works with Xbox, PS4, Blu-Ray players, Apple TV, and so much more.